Congratulations and welcome aboard. The Wave Nation has been awaiting this announcement w/great interest. We wish all the best here. You are taking over an athletic program that has been a disaster for over 65 years when University President Rufus Harris decided to de-emphasize athletics. 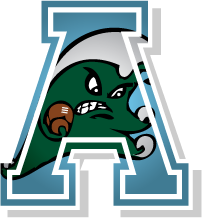 Tulane followed that horrific decision up by leaving the SEC in the mid 60's. The last 15 years have been the worst. Not only losing but losing to low level competition . Then in 2003 Cowen tried to ditch athletics altogether. He lost but did everything he could afterwards to pretty much accomplish his goal. The program has nowhere to go but up. The long suffering die-hard fans of Tulane want to see football and basketball programs that win consistently against quality opposition. We are tired of the numbing of schedules to try and prop up losing coaches. It's been embarrassing and a failure of epic proportions. The former AD actually said " Tulane does not judge by wins and losses. " Rest assured Tulane fans do judge by wins and losses. We see that you have led programs that do what we desire to see done here. We also see that you built facilities for those programs to help them remain winners. We would like to see football and basketball facilities put ahead of the olympic sports for now. Your first hire is crucial to the future of Tulane athletics. Go get us a good one. Last edited by winwave on Tue Jun 12, 2018 10:48 pm, edited 1 time in total. I will second that Winwave. Congrats and good luck to our new AD. winwave wrote: Congratulations and welcome aboard. The Wave Nation has been awaiting this announcement w/great interest. We wish all the best here. The long suffering die-hard fans of Tulane want to see football and basketball programs that win consistently against quality opposition. We are tired of the numbing of schedules to try sand prop up losing coaches. It's been embarrassing and a failure of epic proportions. The former AD actually said " Tulane does not judge by wins and losses. " Rest assured Tulane fans do judge by wins and losses. An accurate summary, but Dannen will probably need some Prozac after reading it. I suspect he has spent plenty of time vetting Tulane! Seriously you are writing letters to your self. He will never read your posts. Doesn't matter if he reads it or not jonathan. He already knows what his challenges are and he will find out how much the TU fans want and deserve the success they have pined for when he is introduced on the public on Friday. I recommend people write him here. He will reply! The Head Football Coach has been at NI for 15 years, and the Head Basketball Coach for 9 years, so Mr. Dannen hired neither, so he has little to no experience in that most important function. He will be relying on the BOA and RD for help- especially since he is not on board until the end of December. If we get a coach before then I doubt he is involved much. ExileWave wrote: The Head Football Coach has been at NI for 15 years, and the Head Basketball Coach for 9 years, so Mr. Dannen hired neither, so he has little to no experience in that most important function. I'm sure Barbara Burke, who was vetting HC candidate resumes last week will be one of the advisors. She may eventually leave for an AD position, which will be a good move for her (she was an AD, after all) but while she's here she could and should be a significant contributor. She's too well paid and carries too big a title to not have input. I hope the new HC is Dino B, and that Barbara Burke reels him in. Then again, I'm not sure that our HC job is a step up from Bowling Green at this point in time. I think it is... warts n all. Thanks TPS. He is on the clock! I wrote Troy an email and got this reply within an hour. Thanks for the note. Trust me that we will find a way to make everyone proud of every aspect of our program. I'll definitely grab that book. History is a great guide for me in know what roads to travel (or to avoid)! tpstulane wrote: I wrote Troy an email and got this reply within an hour. +1000! I went looking for my copy of your dads book this morning. I was going to mail it directly to him up at UNI. The more he knows of our history, the more he'll understand our potential. I was wondering, are there any other college programs in the country that have a history of success like we had in the 40's, and even in the 70's that have fallen to where we are now? I guess what I'm asking is, we're pretty much a unique situation, aren't we? One could just give it to him tomorrow. I won't be there tomorrow, and I also figured he might not want to have to be carrying something around. If it arrived to his office at UNI, he'd just be able to take it home. I only have my one signed copy. I had a box of about 10-20 that flooded in Katrina. Otherwise I would have happily given him a copy. The book is no longer in print so it is now considered "rare" but currently there are a few used copies on Amazon for $20 and up. tpstulane wrote: I only have my one signed copy. I had a box of about 10-20 that flooded in Katrina. Otherwise I would have happily given him a copy. The book is no longer in print so it is now considered "rare" but currently there are a few used copies on Amazon for $20 and up. I have my copy....glad to know it is 'rare." Thanks for the Amazon link. This may be a Christmas present to myself. RobertM320 wrote: I was wondering, are there any other college programs in the country that have a history of success like we had in the 40's, and even in the 70's that have fallen to where we are now? I guess what I'm asking is, we're pretty much a unique situation, aren't we? Off the top of my head I think you're right. When it comes to stepping on your own d!ck; Tulane is the gold standard. I hope newguy can start to reverse that, starting with a football HC. Best of luck to Troy. A great book. I read it from cover to cover, and loved it. If I find mine, I'm going to send it to him. Thanks. I remember the work my dad put in to make the deadline. Tons of work, research and interviews. He donated all his tapes, photos and his original manuscript to the Tulane library archives. I don't know if they suvived Katrina. Depends on what floor it was stored. I saw this post when winwave posted it a few years ago. Tonight I saw the thread as a related thread to one I was reading, and thought it was appropriate to post it again. I know for a fact that our athletics department employees monitor this board, and I hope it's pointed out to TD. Troy Dannen, IMHO, is doing a pretty damned good job in a very tough situation. I don't agree with everything he's done, but I like the way he's gone about his business. But let this be a reminder to Mr. Dannen that there's a lot of work to be done if we ever want to be serious candidates for a P5 slot when the (last?) round of re-alignment takes place in the early/mid 2020's. I think his first hire, Coach Willie Fritz, is a damned good one. He runs a unique offense, but that is probably what it will take for Tulane to win at this level of competition. I think the Football team will turn the corner this year, but fear that the schedule is tougher than most realize. 6 wins this year would be a big step forward from the 5 we had last year, as I'm hoping for 2-2 OOC. We could easily go 1-3 OOC, and I'd be pleasantly surprised by 3-1 OOC. Winning in Football is the most important thing we can do to be considered when the inevitable split occurs between "the haves and the have nots." I'll say it again: Winning football games in the next 3-6 years will determine he future of Tulane Athletics. Men's Basketball is a not too distant second, but without a few very competitive seasons in football, we're going to be the other side of D1 when the split comes. If we can go bowling 4 of the next 6 years, and play for an AAC championship 2 out of 3 years before the re-alignment, we stand a chance. If we repeat what we've been for most of the past 60 years, we have ZERO chance, as a P5 would be ridiculed for picking Tulane. I think TD gets this. As I've posted elsewhere, we should lock him up with a contract that goes through 2025, and have a clause that gives him a multi-million dollar bonus were he to land us in a P5 by that time. I am happy to have TD as our AD. I hope others see that he brings a level of professionalism to the job that we haven't seen since Sandy B left.